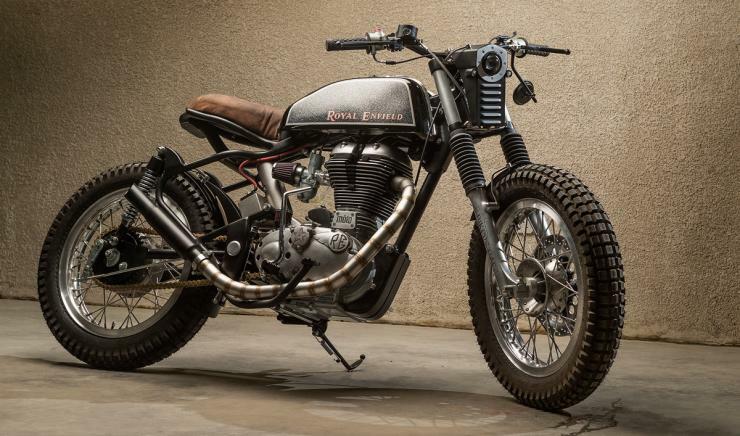 Royal Enfield doesn’t sell a single Scrambler in India but custom bike builders have taken matters into their own hands. 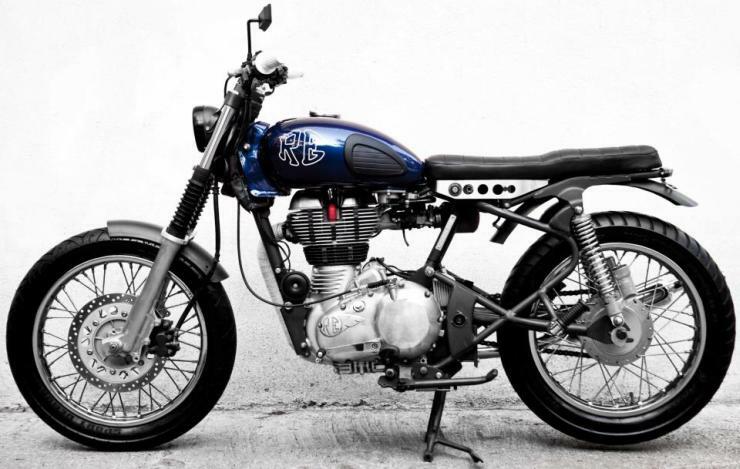 Here are 5 lovely looking Royal Enfield Scrambler customs from India and the world. 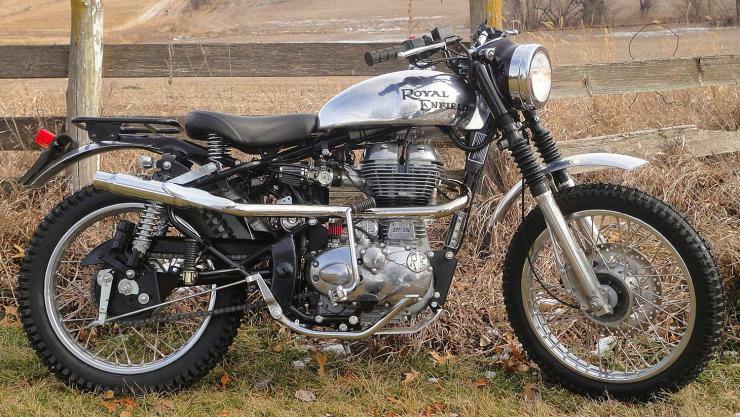 The 535 cc Continental GT is the most powerful bike in Royal Enfield’s line up, and Analog Motorcycles of the USA has built a Scrambler around this bike’s engine and chassis. The bike dumps fuel injection to go with a carburetor, and also features various go-faster bits from Hitchcocks. 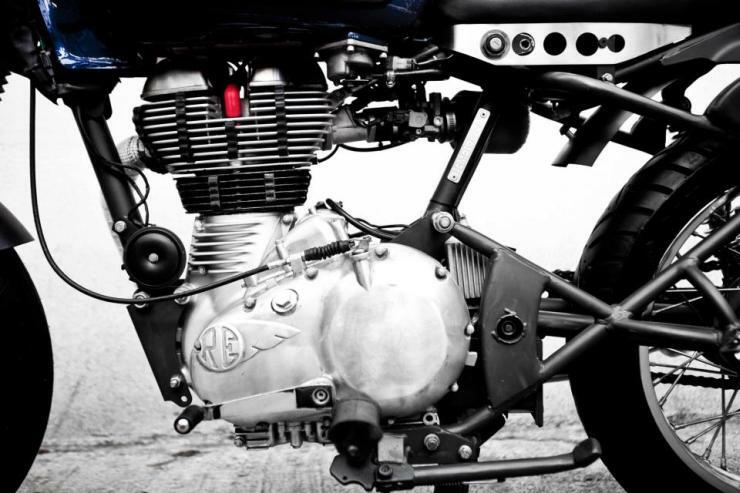 A fair bit of weight reduction has also happened, which should make this bike quite sprightly off the line. 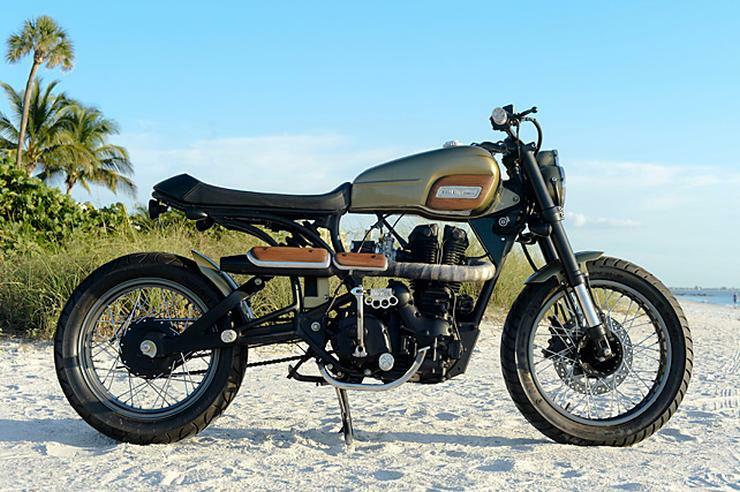 The Desert Flower is a minimalist Royal Enfield custom motorcycle that is built around the 500 cc unit construction engine. 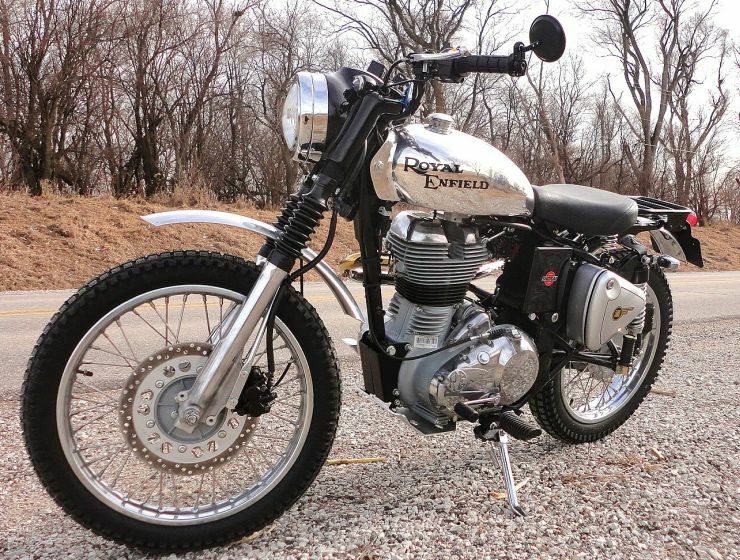 The fuel injection unit on this bike has been replaced by a Hitchcocks Amal carburetor conversion kit. The ground clearance has been upped and the exhaust now sits higher. 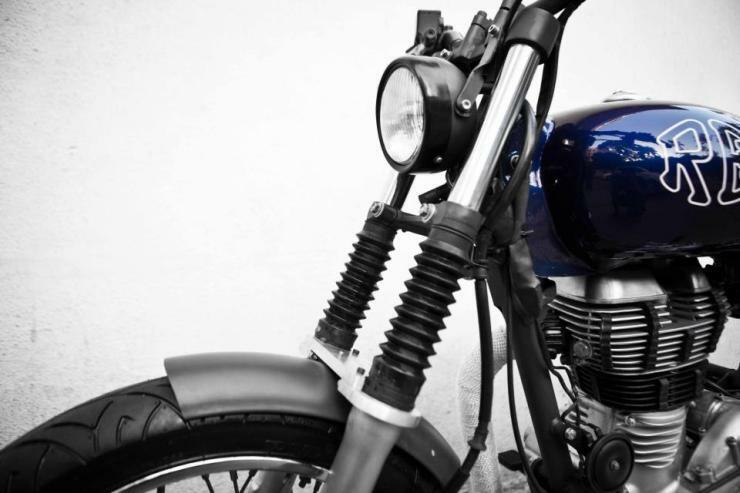 The stock tyres have been replaced by gripper dual purpose rubber while many custom bits come together to give the bike its edgy appeal. 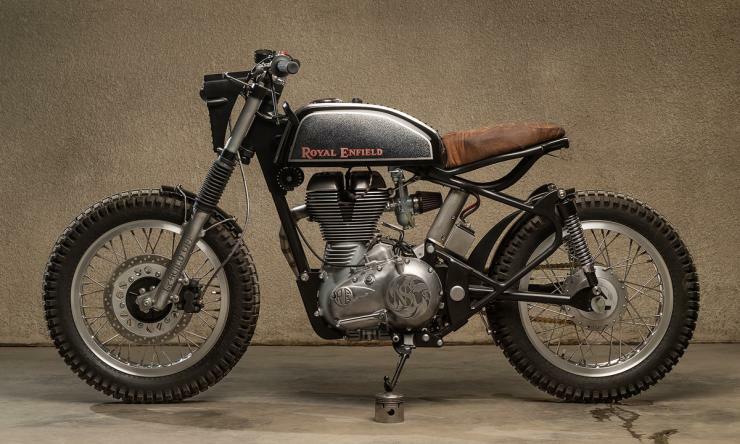 The Royal Enfield Classic is not a light bike, at 180 kilograms, and is not particularly powerful too, with its 500 cc motor pushing out just 27.2 Bhp. 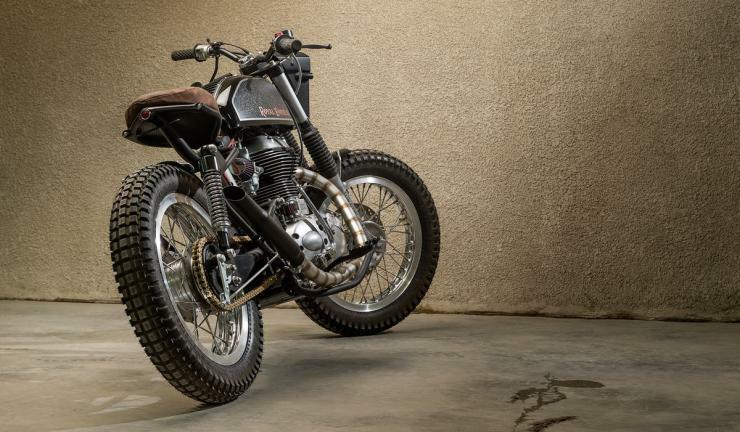 Torque, more than 40 Nm of it, is what counts in Royal Enfield territory and this is what Joshua Crasto of JC Moto has capitalized on, for this ST500 built. 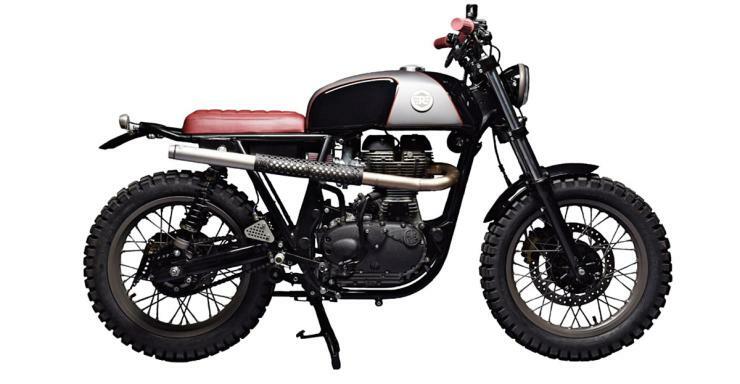 The ST500 scrambler is essentially a stripped down Royal Enfield Classic 500 motorcycle, which loses no less than 40 kilograms. Now 40 Nm on a 140 kilogram bike should be fun, isn’t it? 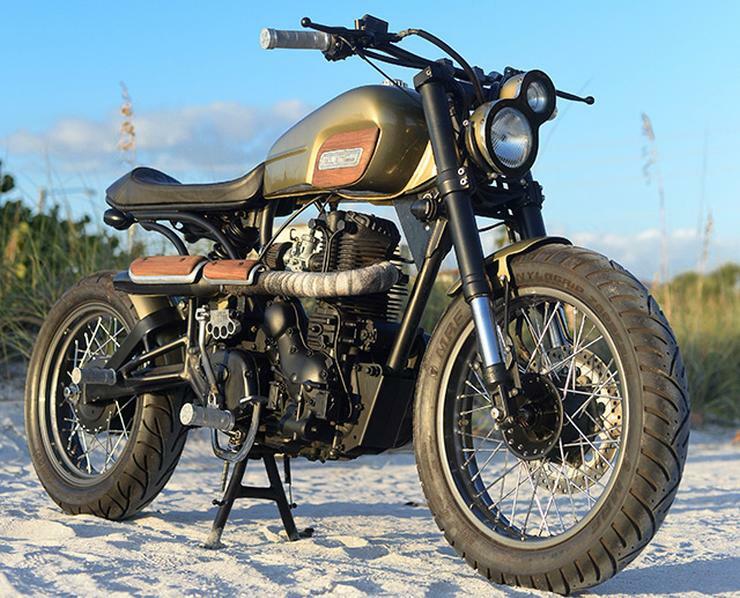 That’s the story of this scrambler. 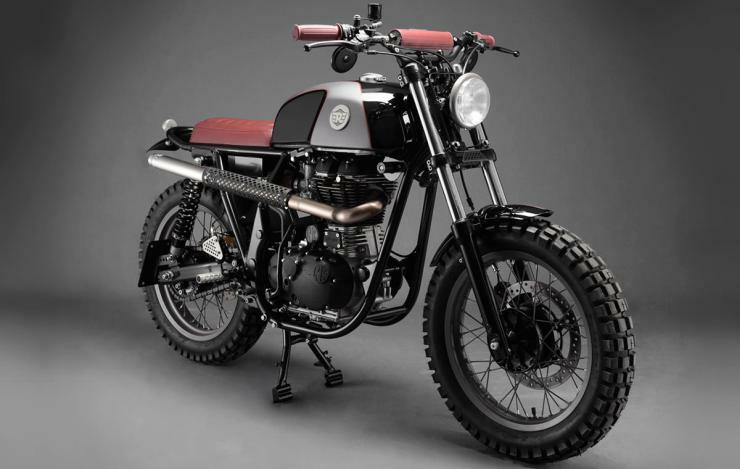 Royal Enfield sells the Woodsman, a dealer customized motorcycle in the UK. 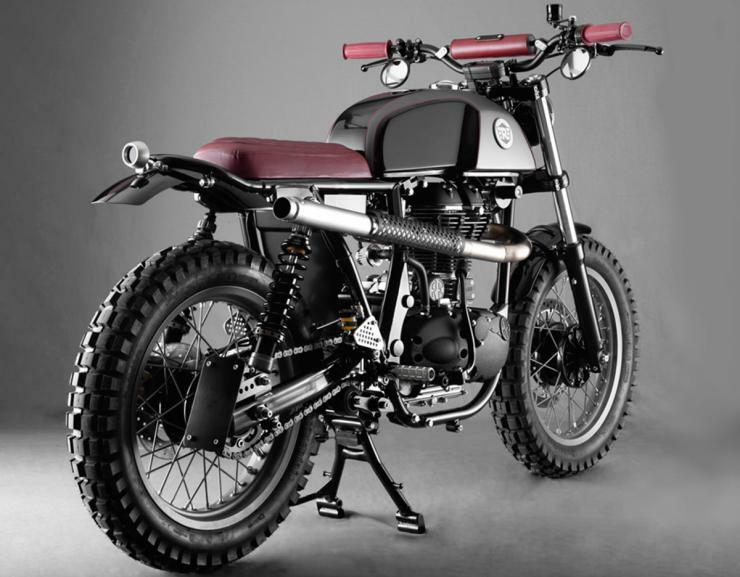 A Woodsman look alike, albeit with plenty of weight reduction, has been built by Baxter Cycle, Iowa. 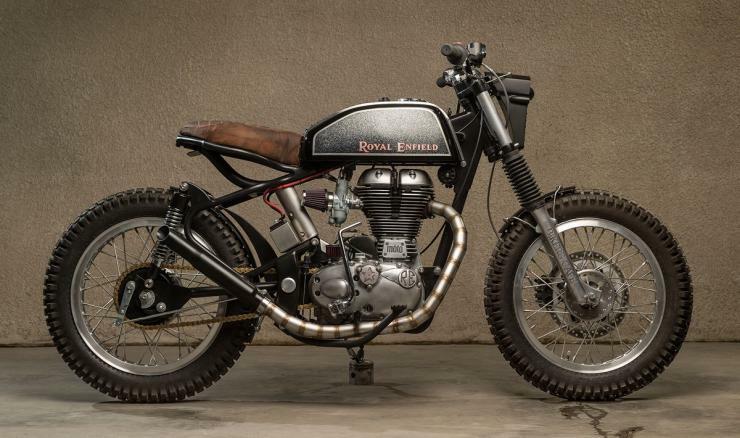 The guys at Baxter Cycle took a brand new 2015 Royal Enfield C5 (Classic 500 in India), dumped about 40 kilograms of heavy body parts, and replaced them with lighter stuff available off the shelf from Hitchcocks and Nfieldgear. They also added a power commander and built this motorcycle into a light on-off road bike, in other words a scrambler. 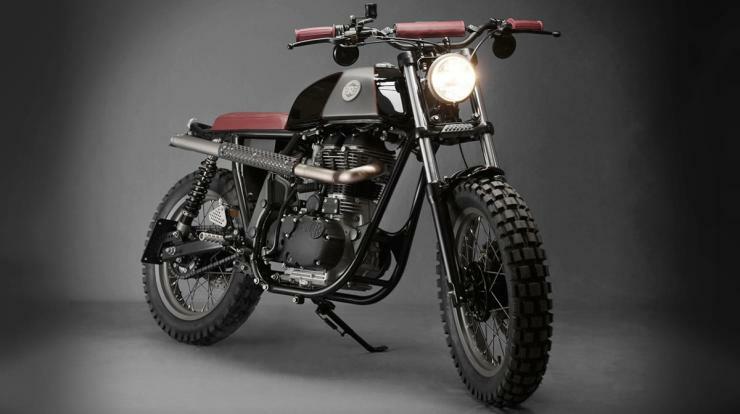 Bull City Customs have built a Scrambler called the “8”, around the AVL350 engine, which was found in the likes of the Thunderbird and Machismo motorcycles sold in India. 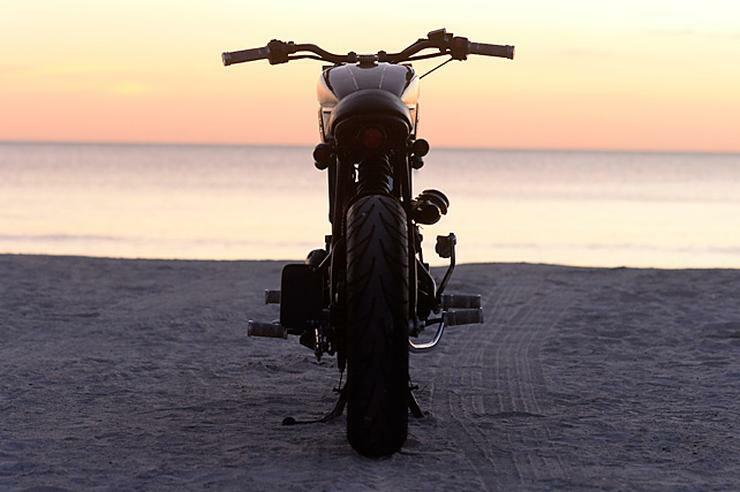 The “8” features custom body work, new suspension bits (A KTM Duke 200 front fork and a monoshock rear), a 29 mm carburetor with larger jets, a scrambler style exhaust that exits from the side, new headlamp and tail lamp, and the list goes on. 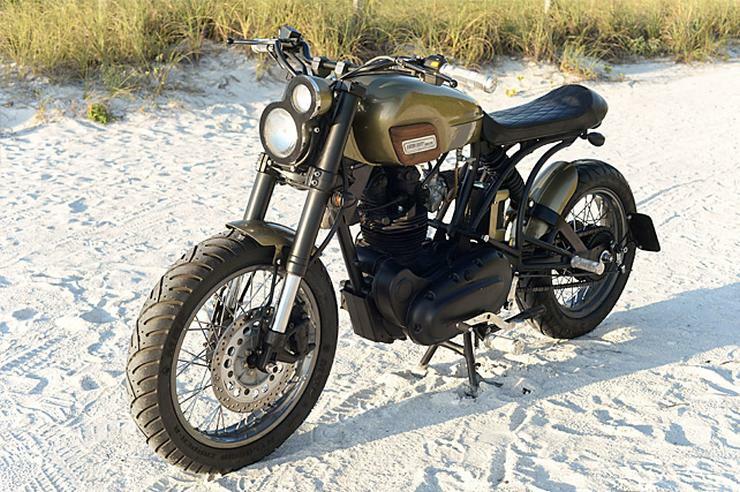 This bike was built by the New Delhi-based custom shop for a US Army soldier.